The U.S. 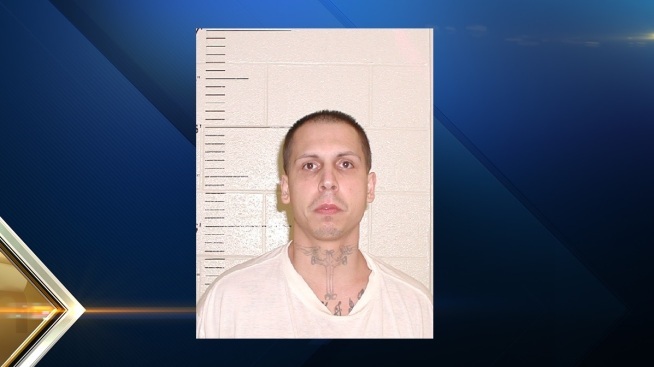 Marshals Service is seeking the public's help locating a fugitive gang member with a history of violence who fled from a halfway house in New Hampshire earlier this week. Raymond Aviles Rios, 28, fled the Hampshire House, a federal halfway house on Elm Street in Manchester, shortly after noon on Monday after being informed of several rules violations. He was last seen running south on Hampshire Lane toward Dow Street. He was serving part of a 55-month federal sentence for a 2011 bank robbery. The U.S. Marshals Service said he has a long history involving several crimes of violence and should be considered dangerous. Rios is described as 5'10", 192 pounds, with brown hair, brown eyes and numerous and several readily visible tattoos. He was last seen wearing black pants, a grayish-blue Under Armour sweatshirt and a dark-colored baseball-style hat. He is known to use several aliases, including Nelson Rios, Carlos Martinez and Ramon Rios-Vega. Anyone with information on Rios' whereabouts is urged to contact Deputy U.S. Marshal Jeffrey White at 603-225-1632. Anonymous tips can be submitted here or by testing the word NHTIP with any information to the phone number TIP411.